A National Budget Workshop for the province of Serua on Viti Levu was held at Club Oceanus Resort in Pacific Harbour. Organised by the Citizens’ Constitutional Forum under its Participative Democracy and Accountability Action (PDA) project, the aim of this workshop is to educate grassroots about the budgetary processes and the importance of community participation in the budgetary process. 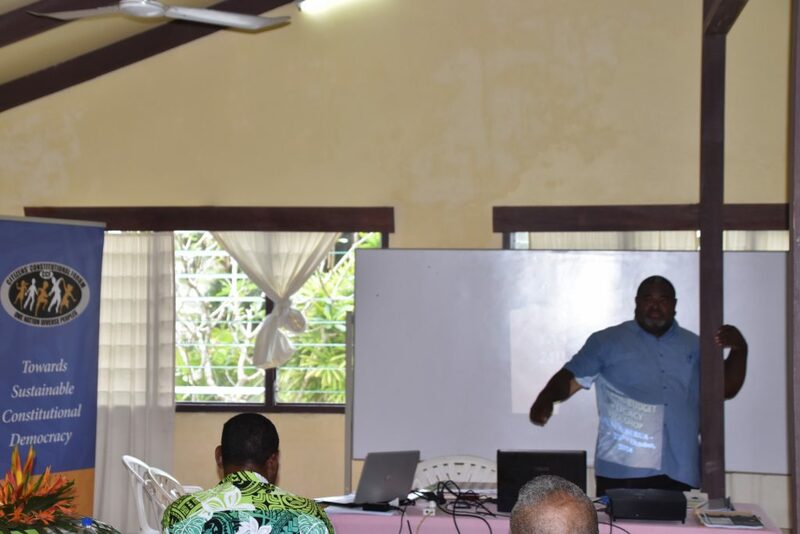 The two day workshop that was attended by the Turaga ni Koro’s from the province of Serua, and focused on Village Development Plan and Implementation Strategies and the different services that are available to them through Government assistance. Assistant Roko, Jacoro Kenatale, said government allocation for these developments in rural areas can only be used effectively if the villages worked closely with the Serua Provincial Office. 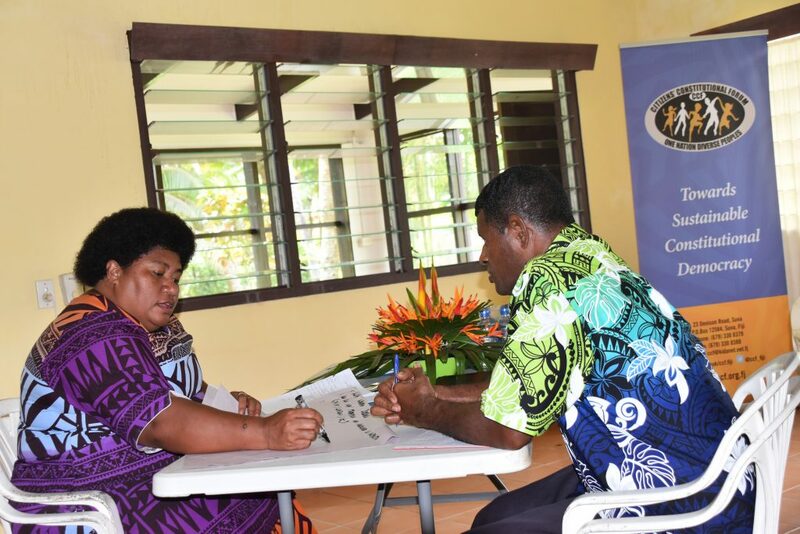 “Villagers will only take ownership of these projects if they themselves choose the type of farming project, as opposed to the turaga ni koro giving them a project that they had no part in selecting “, said Mr Kenatale. 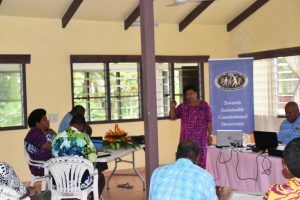 Representing women’s groups from the province, Adi Kolokesa Latianara of Serua Island said that all communities will benefit from workshops of this nature. “Our women and youth from Serua need to formally register their groups in with the Provincial Council in order to receive the assistance that is provided by government through its budget allocation,” said Latianara. The three year programme that is funded by the European Union (EU) is targeted at strengthening democratic governance through the effective and sustained participation of community, civil society and marginalized groups in local and national governance.